This video tells us about a success story of the first Collaborative Social Audit in South Africa in 3 informal settlements in Wattville, Ekurhuleni Gauteng, South Africa. Are Social Audits Soft on Government? In contrast to campaigns that are more inherently confrontational, social audits invest heavily in unpacking and decoding government budget policy and processes. They often start by examining official documents to understand what service delivery commitments the government has made and what viable counter proposals might look like. This is not to say that social audits can’t form part of larger campaigns that use a variety of tactics to get the government to respond. But this engagement is firmly rooted in the facts and figures that the government itself releases in official documents. None of this makes social audits “soft” on government, it is simply a different style of getting and holding the attention of government so as to engage on an issue of importance. Most participants felt that social audits embody a style of advocacy worth preserving. They pointed out the power of social audit fundamentals, such as community ownership as well as using evidence and official commitments to engage with government. Given that this advocacy approach is based on a deep understanding of budgets and policies, social audits can in some cases actually be harder on government — and should certainly be harder to ignore. Despite being firmly rooted in evidence, not everyone gives social audits the respect they are due. Parts of the South African government have chosen to question the validity of audit findings and quibble about the rigor of the data collection and analysis. Civil society organizations have sometimes responded by tightening up these aspects of their social audits. In other cases, such as with Equal Education’s school sanitation audit, CSOs have appointed highly regarded independent observers to vouch for the rigor of the process. Yet, as one participant pointed out, “legitimacy does not guarantee accountability.” Ultimately these challenges by government are motivated less by a concern for scientific rigor, and are more about wriggling out of the tough questions asked about how well officials are doing their jobs. Independent observers and solid methods may make it harder for the government to dismiss the findings of social audits, but they do not guarantee accountability. For that CSOs need to use other tactics, like generating media coverage and mobilizing popular support. Who Sets the Agenda for a Social Audit? The questions of who decides which issue to focus on is a crucial one because community ownership is such essential part of a social audit. At the same time, social audits are so information and knowledge intensive that focusing on a single issue often makes them more effective. In the first few social audits conducted in South Africa, membership based organizations, like the SJC and Equal Education, used social audits as part of ongoing campaigns where the agenda had already been set. This made it easy to decide on the issue and get the relevant communities’ commitment. More recent social audits, like that conducted by Ndifuna Ukwazi in Wolwerivier, brought in an external organization to assist the community with the social audit. This made the agenda question a lot more difficult to deal with. Facilitating organizations know focusing on a single issue increases the impact of a social audit, but communities are faced with such a myriad of service delivery problems and interest groups that it can be hard to agree on a single issue. This poses some interesting questions about how social audits can be replicated across South Africa. The situation where external organizations help communities to conduct social audits seems almost necessary for them to become more widespread. But can effective social audits only be conducted as part of campaigns with well-developed agendas? Or can they be adapted to help new campaigns refine their agendas? One participant in the workshop posed this very question. The excitement over social audits has spread rapidly among South African civil society, and also in government and the donor community. This has resulted in numerous requests for social audit training. But, as many participants warned, social audits are not a silver bullet for solving all of South Africa’s service delivery issues and they don’t lend themselves to a one-size-fits-all approach. Where a service delivery problem is caused by insufficient budget rather than poor implementation, for example, a social audit may not be the best way to proceed. The SJC, NU, Planact, and Equal Education have done an admirable job of promoting the practice in South Africa, choosing slow steady growth in the number of audits and organizations conducting them over letting a thousand flowers bloom. They have also created a social audit guide and formed a Social Audit Network to support such new initiatives. This network is now planning to coordinate the growing body of experienced social audit practitioners to ensure that new auditors have access to old hands. 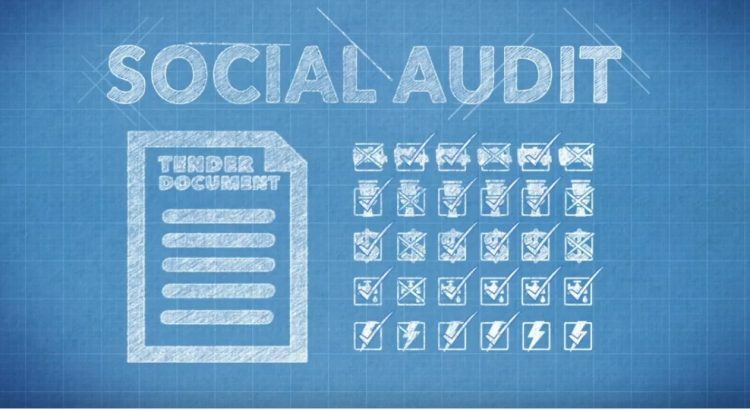 Social audits are a powerful tool. But knowing how and when to use them, and understanding their underlying principles, are key to their effectiveness. While they may not always be the quickest way to prompt the government to respond, the kind of changes they stand to deliver could well be revolutionary. PSAM education researcher, Siyabulela Fobosi, has released his budget analysis for the Eastern Cape Education department 2018. Here he outlines some of the key concerns in the province’s budget for education. What is of concern is that the planning and budgeting of R57 billion for fee-free higher education comes with the baseline reduction to the basic education budget. For example, Programme 6 (Infrastructure Development) of the ECDoE decreased by 10%, in nominal terms, from R1.7 billion in 2017/18 to R1.5 billion in 2018/19. In real terms, the allocation to this Programme decreased by 13% to R1.4 billion. The reason for this decline is due to the reduction in the funding for two conditional grants, namely Education Infrastructure Grant and Maths Science and Technology Grant. This reduction will delay the completion of currently existing infrastructure projects such as hostels, special schools and Early Childhood Development (ECD) Centres. The reduction in budget for infrastructure is concerning, considering the interdependence of the basic and higher education sectors. One would expect government to ensure massive investment in basic education, so that learners progress well to the higher education. The high fees in universities are not the only reason why many of the learners from the poor schools cannot access higher education. It is also due to the inequalities in the early years of schooling. It remains a challenge for most learners in South Africa, to pass matric well and obtain a qualification in higher education, especially in the context where learners are repeating Grade 3 and 4. The lack of adequate appropriate infrastructure in schools does adversely impacts on progress towards ensuring equitable access to education and resources. It is particularly disconcerting to note the reductions to important programmes such as the Infrastructure Development which will undoubtedly result in the delay of school infrastructure projects in a province already showing high rates of under-delivery. This reduction is unfavorable for the progressive realisation of the rights of learners to quality basic education. In order to ensure that the budget allocated for infrastructure delivery, the Department must improve the management and monitoring of expenditure. It is high time that the ECDoE, assisted by the Eastern Cape Provincial Legislature, addresses failures in school infrastructure provisioning. Given the funding constraint and overriding economic context – it is imperative for the ECDoE to ensure the efficient, prudent utilisation of limited resources to ensure optimal delivery of a range of education services. 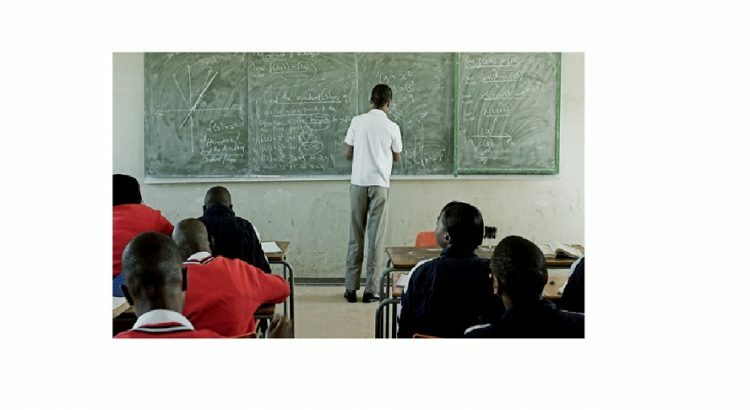 Given the funding constraint and overriding economic context – it is imperative for the ECDoE to ensure the efficient, prudent utilisation of limited resources to ensure optimal delivery of a range of education services. This research seeks to address specifically how implementation might be improved, through enhancing inter-departmental coordination on open data commitments. Worryingly, very little of the OGP conversation so far has practically considered how we can get a variety of departments (and not just lead agencies) to coordinate to make OGP commitments a reality. After a several months of extensive research ODAC believes that one of the answers lies in driving departments to work together on both the OGP more broadly, but also in relation to specific commitments. 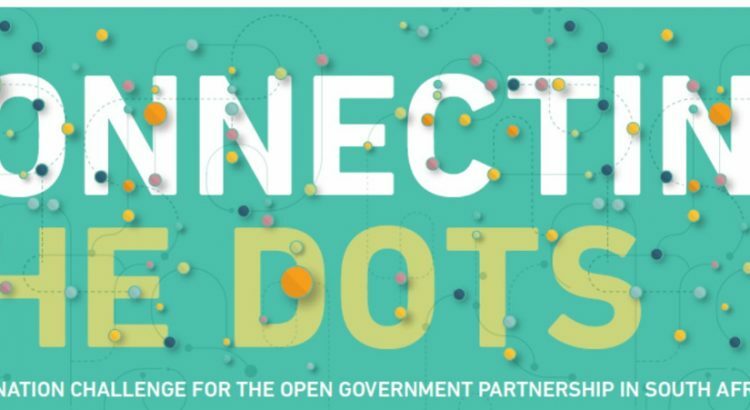 Inter-departmental coordination has never been an easy ambition – but ODAC have posited some simple strategies, within the OGP process, that will help in moving open government ambition to open government reality.